Janis Harms is a retired registered nurse. Caring for people and giving back to community comes natural for her. So it’s no surprise that at every opportunity to participate actively making change that’s what you will find her doing in her free time! Nursing is a passion for Janis. 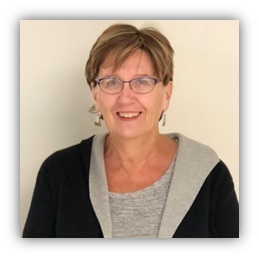 Before retiring Janis worked full time and participated in various boards and committees for The Professional Nursing Association and the Manitoba Nurses Union. Janis is driven to ensure that policy and protocols are implemented followed, adhered to and that the quality of care for clients and residents alike is always paramount. Prior to volunteering for her vice-chair board position Janis and her companion Remi (chocolate doodle) could be found spending time with our very own residents here at Golden Links Lodge. Janis and Remi completed the St. John’s Ambulance Dog Therapy Program which led them down a path of volunteering and bringing comfort and joy to anyone that comes in contact. Janis could often be found walking with Remi throughout our own facility providing companionship and love to our residents. These days you can find Janis and Remi working with Special Paws for Special Kids and See Spot Read programs. When Janis isn’t busy with volunteering commitments she can be found relaxing at the lake with her family, friends and of course Remi! Golden Links Lodge is fortunate to have a board member with such great experience and commitment!